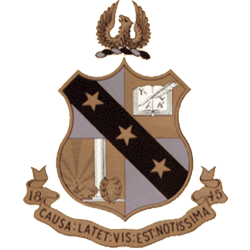 Alpha Sigma Phi evolved from the group known as the Aztec Club of which William Jasper Kerr was a member of. Alpha Sigma Phi was on campus from 1920 until 2004. From 1920-1967 Alpha Sigma Phi resided in what's currently known as the Oxford House. In 1967 we moved to 410 NW 26th Ave (now Sigma Pi Fraternity) which was on land donated by OSU Psi alumnus Edward Beatty. In 2010, Alpha Sigma Phi was re-colonized and then re-chartered on June 3, 2012. Warren Buffett - Chairman of Berkshire Hathaway Inc.